Why does SikhNet need 500 times more money than other comparable Sikh websites? Gurbani World Radio offers twice as many Gurbani radio stations than SikhNet too! 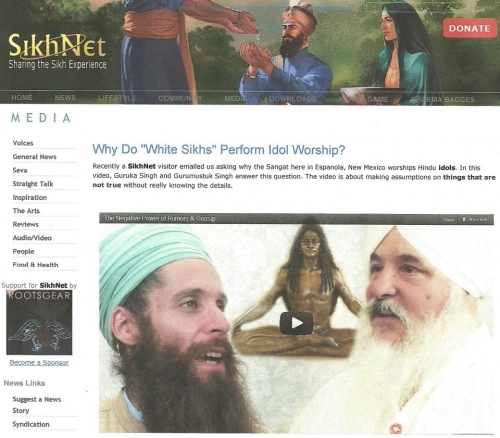 One has to wonder where all the extra money goes to at SikhNet? Ask SikhNet in their "SikhNet Donation Survey" why they need so much money. "Sikhs who complete SikhNet "Donation Survey" should ask if their donations are going towards supporting Idol worship & Yogi Bhajan tantric yoga at SikhNet!" https://www.youtube.com/watch?v=R29AjG6GdcM&list=UUQDV5etGNZ9AnZ-3PnLklzw&feature=c4-overview.